Little by little our home improvement projects are finally getting under control. 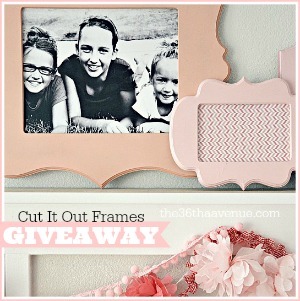 Today I’m happy to show you another finished room and to celebrate we are having an awesome Cut It Out Frames Giveaway! 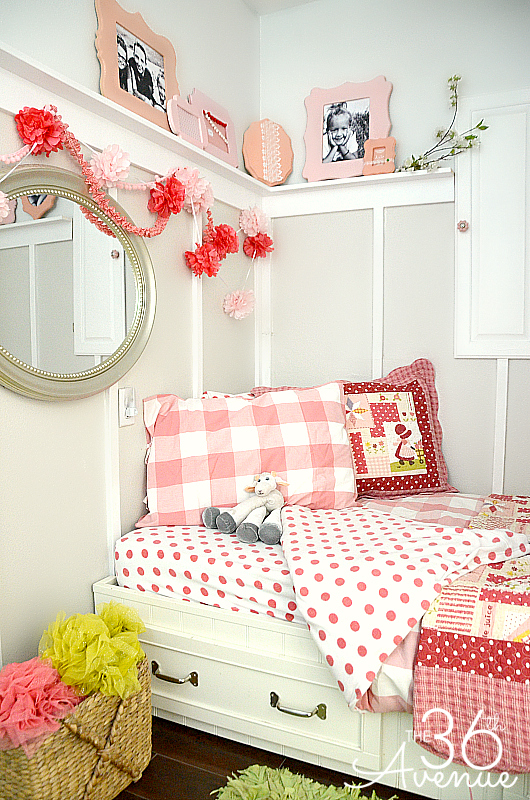 Even though this bedroom is tiny we are loving it and it is perfect for our little girl. Today I going to prove to you that you can do a lot in a small space… Anyways, here is the new bedroom! I believe some walk-in closets may be bigger than this room, but Mimi loves it and enjoys playing in her room for hours. It is super cozy and says I am a little girl all over… So fun, little and cute! 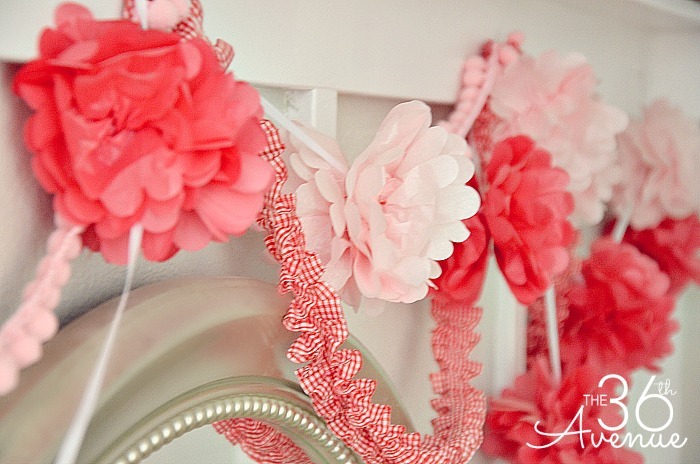 The only other accessories, besides the awesome Cut It Out Frames, are a few baskets, rug, mirror, and this cute flower garland for the wall. 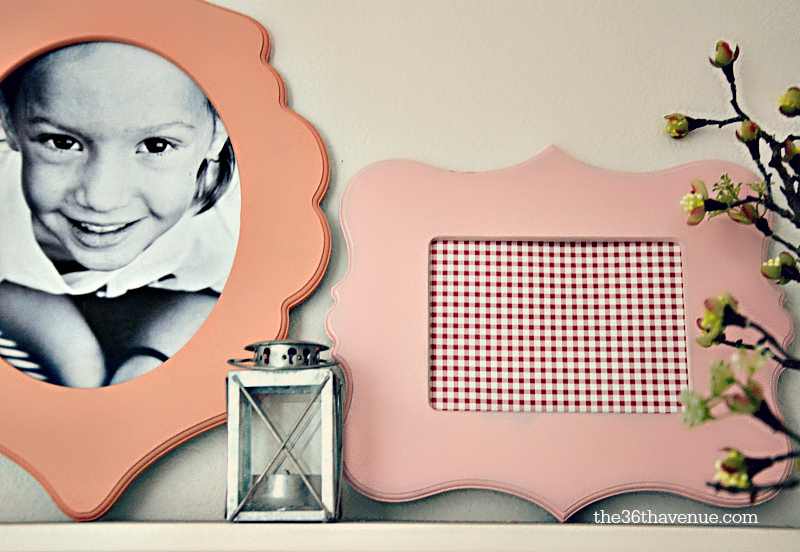 Since there was not much room I used some fabulous Cut It Out Frames to decorate Mimi’s space… The frames come unfinished so it was easy to spray painted them and achieve the perfect colors for her room! I printed a bunch of black and white pictures and after everything was ready her shelf made the entire bedroom come alive with her sweet personality. 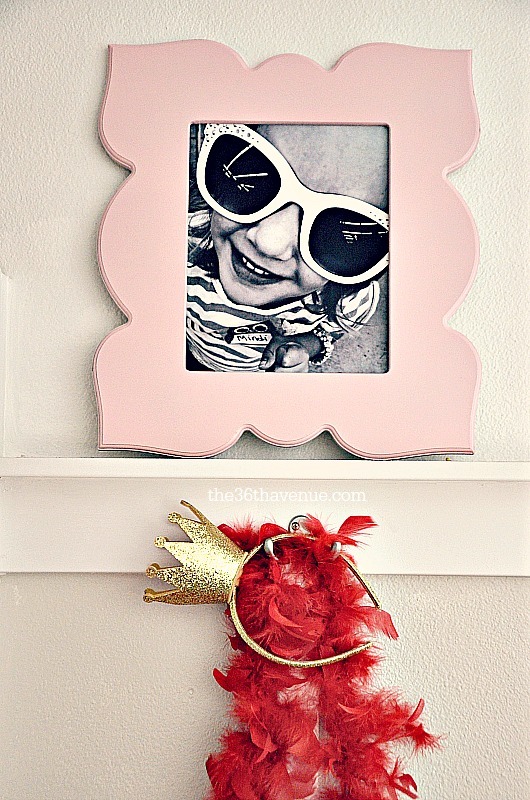 I can’t tell you how much I love these frames! 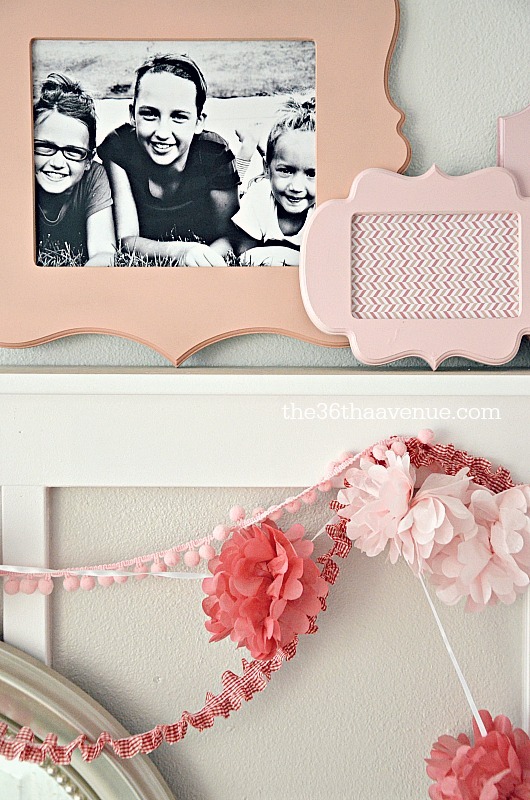 The shapes are so fun and perfect to decorate a girl’s space. 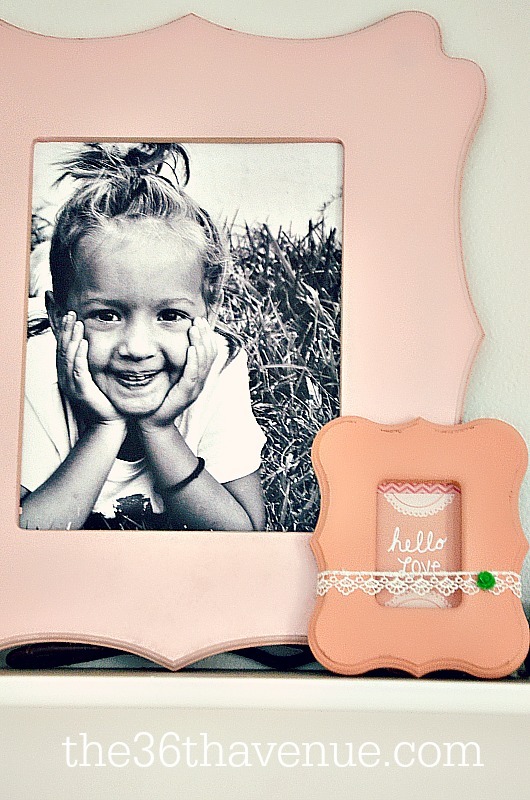 I know you are going to love these frames as much as I do. So today our friends from Cut It Out are giving $100 Store Credit to two lucky winners. Could those littles look anymore like you! So sweet, great space! I love this! My little girl’s room is just about the same size and looks to be just about the same layout too. 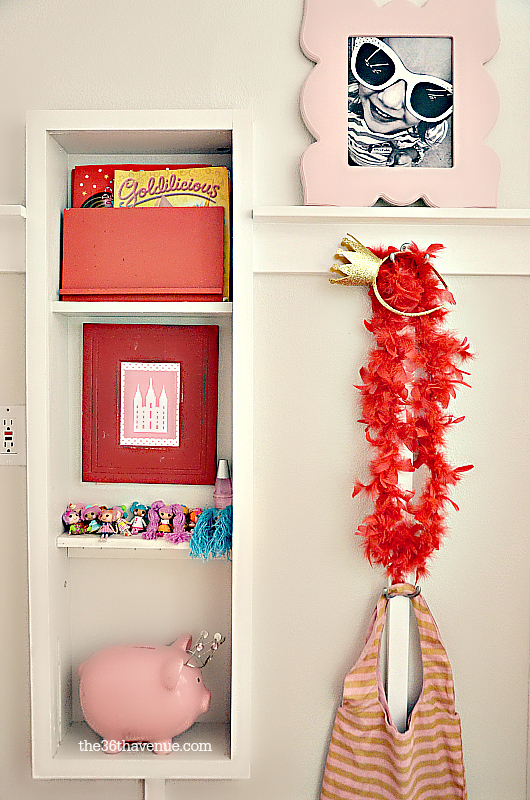 I think that I’ll be “stealing” some of these ideas for her room re-vamp that we’ll be doing soon! 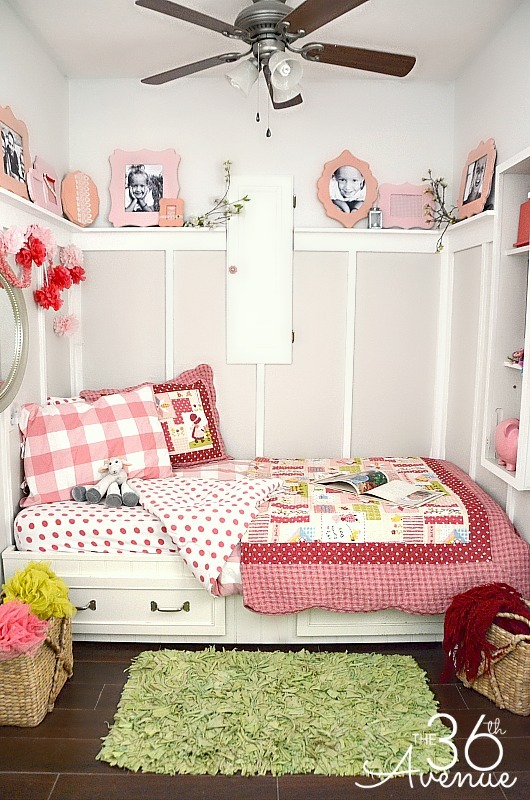 This room is super cute! Love the colors! I have a question though…wheres a window in case of a fire? Can this legally be a bedroom without a proper window? Super fun and girlie and lovely =) That gold crown headband is awesome!